Any place you want to visit again/next time: Tokyo again! The entire tour was very good, we will have fond memories of our journey. Hiroko was very professional and went out of her way to make sure everyone was included. She was a good communicator. Very helpful and attentive. Assigned bus seating was an excellent idea! The view from the top of the Ropeway Ride! 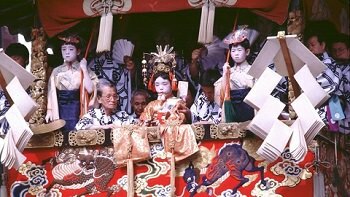 Gion festival in Kyoto is the largest festival in Japan having hundreds of food vendors, carnival games, activities, parade, art display, and more. This fully escorted tour will travel from Tokyo to Hakone, Mt. Fuji, Nara, Hiroshima, Miyajima, and a prolonged stay in Kyoto.